Same as me, The PSD file made by Procreate can open in Affinity Photo but I can not reverse it. 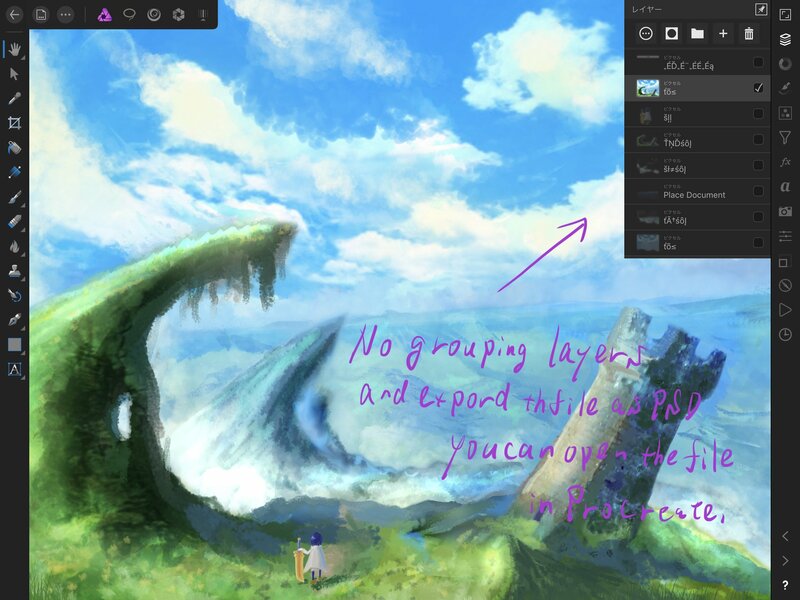 However stop grouping layers in Affinity photo and export as PSD file, it can open in Procreate. That’s great, but unfortunately doesn’t work or help here.. I tested with only one small AP document, with only one extra layer, with a brush stroke, and still crashes Procreate. Same problem in AD for iPad. A little disappointed to see this problem was still not fixed in the last big update for Affinity Photo. The way affinity writes the .psd files, still crashes Procreate.